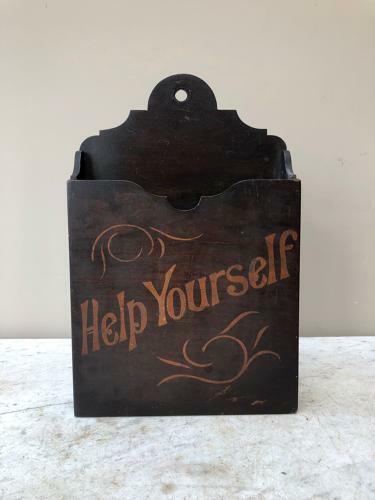 Lovely condition wall hung Edwardian Shops Newspaper Holder. They would have been rolled and put in but it holds magazines etc... Perfect in a Cafe...Hairdressers.